We strive to bring you all the information you require when travelling to Etosha National Park or just finding our more about this fascinating park. 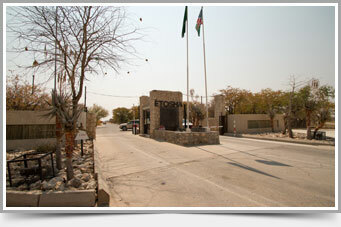 It is important when visiting a park as unique as Etosha to respect the environment and the heritage associated with it. Below is some of the most important information to keep in mind to ensure that you have a safe trip or if you would like to learn more about the park. The Etosha pan is undoubtedly, massive. It is the most distinctive feature of the park and can even be seen from space. It is believed that it was formed over 100 million years ago and is 130 km’s long and up to 50 km’s wide in certain places. This means that the pan covers almost a quarter of the entire park! Waterholes are usually a redeeming feature in any major national park and Etosha is no different. They are a great place to silently observe game and see them in their natural environment, away from noisy mechanical beasts that we often view wildlife from. Each waterhole in Etosha is different and animals spotted at each vary from season to season. 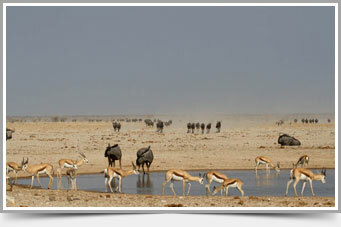 The main waterholes in Etosha include Okaukuejo, Okondeka, Halali and Goas and Sueda and Salvadora. Dependent on what type of game viewing you wish to do, different seasons within the year will suit your trip better. The winter is a dry season and is great time to spot wildlife at the waterholes. During summer the vegetation is lush due to the heavy rainfall which makes dame- viewing difficult. However this season is great for bird- lovers. Before visiting the park, is important to know what fees are required depending on your age and the vehicle you are travelling in. These fees are subject to change without prior notice. Another important item to note and respect is the opening and closing times of the park which are based on sunrise and sunset. The Etosha Pan and the area that would later come to be known as Etosha National Park was first discovered by Europeans in 1851, when explorers Charles Andersson and Francis Galton came to the wild region in the company of Ovambo traders. 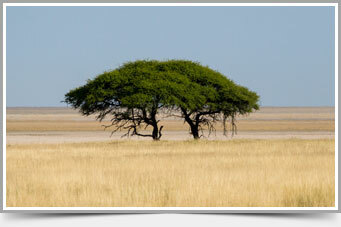 Etosha can be loosely translated as “Great White Place” in the Ovambo language.